All of us will go through times that we don't understand: a difficulty with a friend, an unfair situation at work, a financial setback, an unexpected illness, a divorce, or the loss of a loved one. Those types of experiences are part of the human journey. But when we find ourselves in such a place, it's important that we keep a positive perspective. 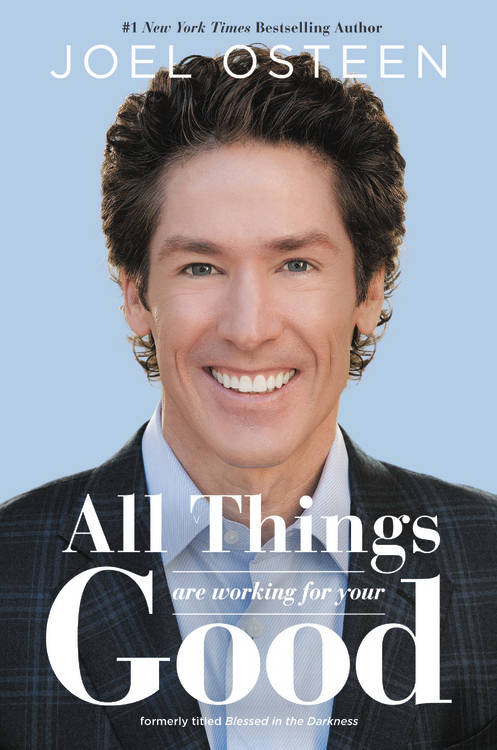 Joel Osteen writes that if we stay in faith and keep a good attitude when we go through challenges, we will not only grow, but we will see how all things work together for our good. Through practical applications and scriptural insight, ALL THINGS ARE WORKING FOR YOUR GOOD focuses on how to draw closer to God and trust Him when life doesn't make sense. All Things Are Working for Your Good by Joel Osteen was published by Faithwords in August 2018 and is our 7284th best seller. The ISBN for All Things Are Working for Your Good is 9781455534302. Be the first to review All Things Are Working for Your Good! Got a question? No problem! Just click here to ask us about All Things Are Working for Your Good.